Here’s my 2018 list of toys that inspire ingenuity, creativity, tinkering, STEM learning, building, and making for kids of all ages. 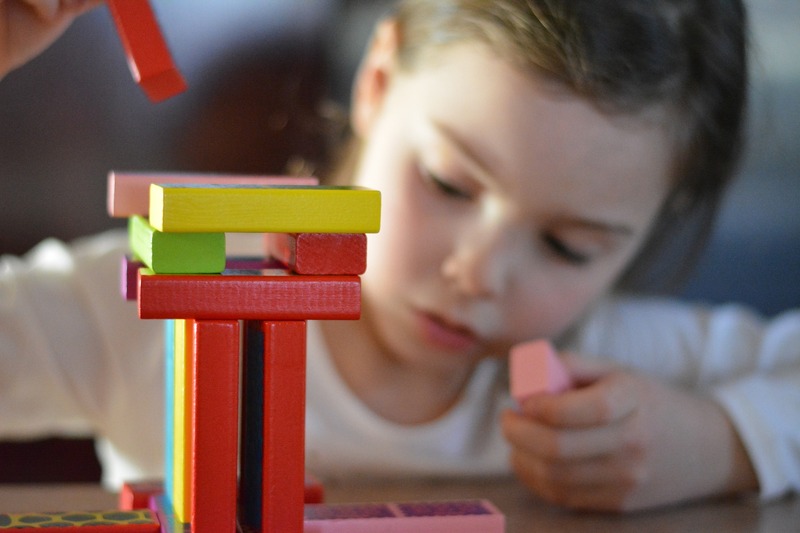 Description – Makedo is one of my favorite STEM construction toys out there on the market and it’s super low cost to get into it. Everyone knows that kids can have as much fun with empty cardboard boxes that the gifts that came inside them and this takes the fun to the next level. With the basic Toolkit that comes with plastic screws, safety cutter, and screw driver kids can construct anything they can imagine with leftover cardboard from holiday shipping boxes, so be sure to save them! Description – Circuit Scribe is a fun conductive ink pen that allows you to draw your own circuits for use with other included components, such as lights and switches. Mini and Basic kits are very reasonably priced at $14.99 and $34.99 respectively. Description – blink blink has found a niche in wearables, allowing kids to make fun wearable technology. The Wearable Tech Kit provides the necessary tools to engineer sewable circuits into DIY arts, crafts and fashion tech projects – from LED light up scarfs and leggings to pressure sensors for other wearables. Description – Dash and Dot are programmable robots that can follow lines, play music, and other interactive tasks. Description – LEGO offers a range of products for budding young engineers and tinkerers. Even though all can appreciate the value of the simple brick, the “Technic” and “Power Funtions” lines of product that include gears, axles, and motors can be used to build machines and learn about energy and power. Description – For an all in one, albeit expensive, box of versatile parts, take a look at LEGO Mindstorms EV3. The basic robotics kit includes the programmable brick that kids can learn to program as well as a range of motors and sensors to make magic. Check the website for free apps to do the programming as well as a series of challenges. Description – Supply your own two liter bottle and bicycle pump to use with this launcher and kids can create their own rockets that will launch up to 100 feet in the air. 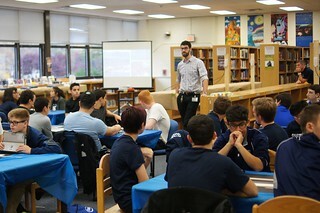 Description – Aerospace projects are a very fun way to engage young people. The Estes brand offers a range of kits from those that are ready to fly to those with assembly and some design required. They’re available in a variety of stores, but be aware that you will need to purchase motors separately. The A type motor is the least powerful, but important if you want to launch the rocket multiple times. To start, you’ll need a rocket, launch pad, ignition system, and motors, which usually come with igniters and recovery wadding. Description – littleBits is a platform of easy to use electronic building blocks that kids can use to create inventions. The Base Kit includes ten modules including a DC Motor, buzzer, dimmer, and light sensor. A way to have fun and learn about electronics and logic all at the same time. Description – Designed and marketed primarily to young girls, GoldieBlox offers a series of kits and sets that allow kids to play and learn about mechanical and other systems. Description – Imagine being a kid that likes to build and tinker and hearing a grownup say “get your tools so you can help.” Not plastic toys, but real tools sized for little hands. Consider a basic set with some degree of good quality that includes a hammer, screwdrivers, pliers, and a wrench. Description – Use Makey Makey to connect to virtually anything that will conduct even a little electricity to make fun inventions. Use bananas to make a keyboard. Use play dough buttons as a game controller. Great for beginners and fun even for expert makers. Description – A classic German-designed series of component parts to create a variety of machines and structures. Mechanical models can be made from gears, basic building blocks, static parts, wheels and many other parts. Available from many retailers, this construction set helps children to understand everyday technology by playing. Description – Used in school based programs and robotics competitions, the VEX Robotics Design System offers students an exciting platform for learning about STEM. Description – A fairly widely available building platform that uses modular parts. Build vehicles, robotics, buildings, and other items limited only by imagination. Description – Disruptus is a game that asks players to look at objects and ideas and use different approaches — as determined by the roll of a die — to innovate. Disruptus draws inspiration from the practice of “disruptive thinking,” one of the most powerful ways to innovate. Disruptive thinking has been used to create ideas and objects like digital music, and car sharing programs. Description – Rokenbok is a construction toy system that promotes STEM learning through hands-on exploration and play. Children build their own Rokenbok cities and then use remote control vehicles, conveyor belts, and chute systems to interact with their creations. Videos from the Future City Competition New Jersey Regional held at Rutgers University on January 13, 2018 are now posted! Congratulations to the First Place Team “Raramai” from Harding Public School! 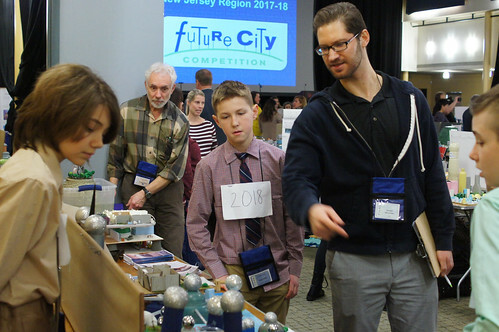 Photos from the Future City Competition New Jersey Regional held at Rutgers University on January 13, 2018 are now posted. Videos from the Future City Competition New Jersey Regional held at Rutgers University on January 14, 2017 are now posted! 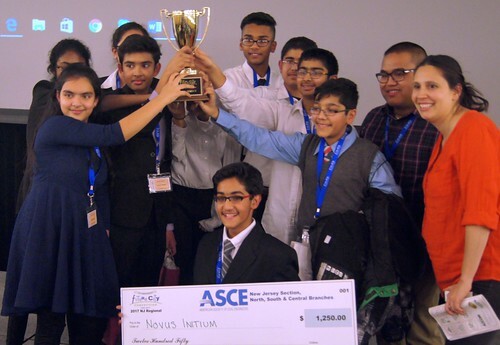 Congratulations to the First Place Team “Novus Initium” from Iselin Middle School! Photos from the Future City Competition New Jersey Regional held at Rutgers University on January 14, 2017 are now posted. Photos from the STEM League meet held at Northern Valley Regional High School – Demarest on November 3, 2016 are now posted. Below is a link to brief video highlights from the competition. Congratulations to the First Place Team from Paramus High School! NJ School Board Association – So, You Want to Go Full STEAM Ahead? So, You Want to Go Full STEAM Ahead?